TenantCloud is a property management software that provides users with end-to-end rental accounting and management solutions. It allows users to receive online payments, manage tenants, and oversee maintenance requests. In this article, we covered user reviews and pricing. Ready to try TenantCloud? Get a free trial. Users who gave TenantCloud a positive review said that it is affordable and easy to use. They also find it convenient to have all their tenant information, maintenance requests, and payment statuses in a single platform. One user who gave TenantCloud a positive review on Capterra noted how easily she can oversee and manage her rental properties with its tools for accounting, marketing, tenant management, and reports. She also highlighted how inexpensive the software is. Users who gave TenantCloud a negative review complained about synchronization issues, system glitches, and unreliable customer support. They also suggested improvements on multiple payment options and the linking of tenant-to-landlord accounts. One user who gave TenantCloud a negative review on Capterra reported glitches in the multiple payment functionality of the program. She shared that she often encounters page redirects when entering multiple payment records, which sometimes makes it difficult to input and accurately record a tenant’s payment history. TenantCloud offers a free plan and two paid subscription options: Standard ($9/month) and Advanced ($35/month). The main differences between the plans are the number of units that can be managed, amount of data storage, administrator accounts, as well as the availability of premium features such as tenant matching, online payment, and a property message board. 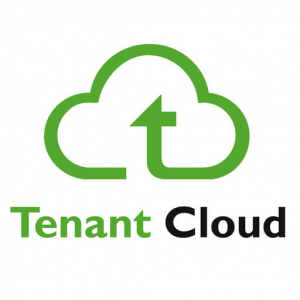 TenantCloud also provides additional subscription options called Tenant (tenant portal) and Service Pro (maintenance request management) — both can be used for free. The Tenant plan includes rental history, online applications and leases, and unlimited online payments. The ServicePro plan provides users with maintenance request analysis, personal accounting, maintenance bid requests, and calendar. Ready to try TenantCloud? Get a free trial. Can users setup leases with multiple tenants? Yes. TenantCloud allows users to manage properties with multiple tenants. They have the option to employ a separate or combined lease payment system per property. How can tenants request for maintenance and repair services? TenantCloud allows users to manage maintenance requests by allowing their tenants to upload photos and videos of the property elements that need repair. It also enables them to communicate and schedule all requests in the platform. Not sure if TenantCloud is the right fit for you? Read our reviews of all top property management providers. I like that TenantCloud offers free units to manage. I am a small landlord and it was great to test out this product at no cost. I was offered a demo and I must admit this software has many different features that I’m about to explore. I would love if TenantCloud could provide tutorials or webinars to their product. They are huge. But still on youtube they have some useful videos that sometimes help. I didn’t purchase. That was the great part. At first I signed up to test it and only after that experience I went on a $9 plan.